Cultural Infusion, an award winning NGO, spends the bulk of their time promoting intercultural awareness among young people through the delivery of in-school programs, teacher resources and their innovative, educational app Joko’s World. We caught up with Natasha from Cultural Infusion to discuss A Taste of Harmony and the ways in which Cultural Infusion continues to celebrate and promote cultural diversity throughout the year. Presenters from our Discovering Diversity National Schools Program regularly hold special touring events and promotions in recognition of Harmony Day. The recognition of diverse cultures, beliefs and perspectives is enmeshed in our company’s mission statement and goals; our vision is of a world that is simultaneously harmonious and celebratory of our collective rich cultural heritage. Naturally, cultural diversity initiatives are of great relevance to our organisation. In 2015 we were commissioned by the Department of Social Services and the Scanlon Foundation to develop Recipes for Harmony, a free online resource that supplemented recipes from around the world with information on the cultures and traditions they belong to. 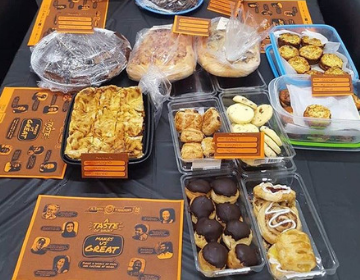 Combining food with cultural education helped encapsulate the spirit of A Taste of Harmony Week, and the lesson plans and teacher resources developed alongside the e-book gave teachers a means of introducing these concepts to the classroom. Participating in A Taste of Harmony was somewhat of a “no-brainer” for us. 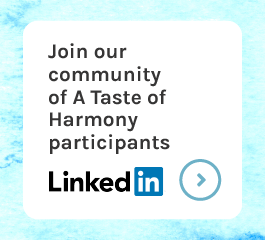 We have been participating in A Taste of Harmony from 2015 since the development of Recipes for Harmony with the Scanlon Foundation. 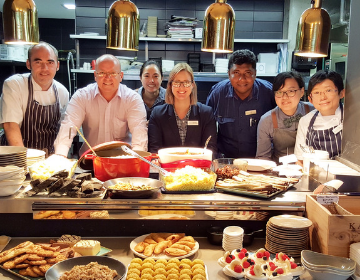 We have always worked in a huge number of areas to promote the importance of cultural diversity, but after developing Recipes for Harmony it made perfect sense to make it official and dedicate one day a year to celebrating diversity through food. This year, it looks like we’ll be celebrating A Taste of Harmony a little bit later than usual, as we have a number of huge events planned for Harmony Week. Stay tuned to our social media to find out more! We’re a small local NGO with about 40 employees, interns, consultants and volunteers working with us at any one time throughout the year. We include everyone. 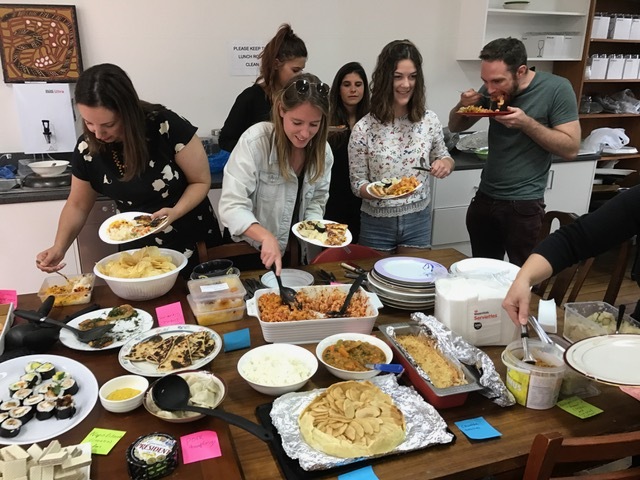 Employees have brought dishes of sushi (Japan), pasta (Italy), naan (India), dumplings (China), massaman curry (Thailand), pizza (Italy), napolitanke (Yugoslavian), brie (France), garlic bread (Italy), lamb chops (Australia), potato salad (Germany), apple pie (Dutch). The Cultural Infusion team enjoying their ATOH event. A Taste of Harmony has inspired us to celebrate diversity in all kinds of ways. We constitute a culturally diverse workforce and throughout the year employees are encouraged to bring traditional dishes associated with significant cultural events; for instance on Purim (a Jewish holiday) last month, Jewish employees brought in hamantash for their colleagues to share in recognition of this holiday. Regularly celebrating and recognising national and international days of cultural awareness such as NAIDOC Week. We do this through presentations commemorating such cultures, along with follow-up discussions among colleagues. We offer internships to people from all around the world, and encourage incoming interns to give cultural presentations relating to their country of origin when they begin their placement. Adapting an attitude of cultural diversity. 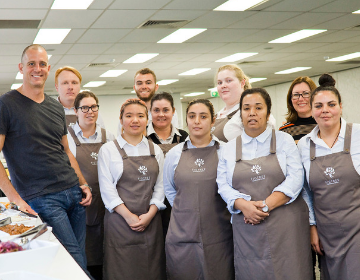 We are an Equal Opportunity employer that works in partnership with various employment agencies and disability employment services, both in Australia and internationally, to bring together a very diverse and open-minded workforce. Both our vision and our mission are tied to the concept of building a world that is culturally and socially cohesive, which then shapes our organisational structure into an inclusive work environment that inherently allows for, and grows diversity in our ethnic and cultural backgrounds. We would encourage other organisations to involve as many of their employees in planning and implementation of the event as possible. While this may not be possible for large, corporate organisations However, for medium-size business’ getting everyone involved can really help to foster closer, family-like ties. For smooth operation on the day, planning logistics well in advance is absolutely key. Make sure you clear out enough space in the fridge beforehand for all of the wonderful left overs you’ll be enjoying for lunch the next day.